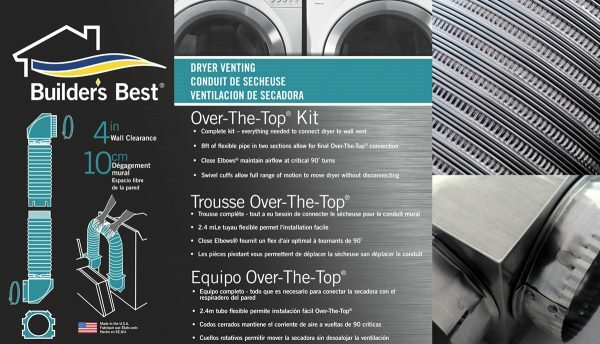 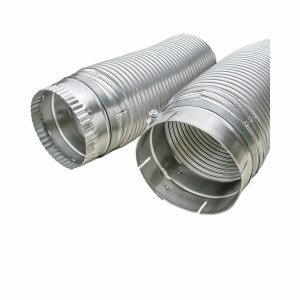 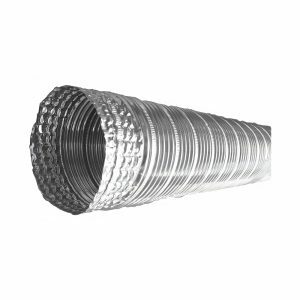 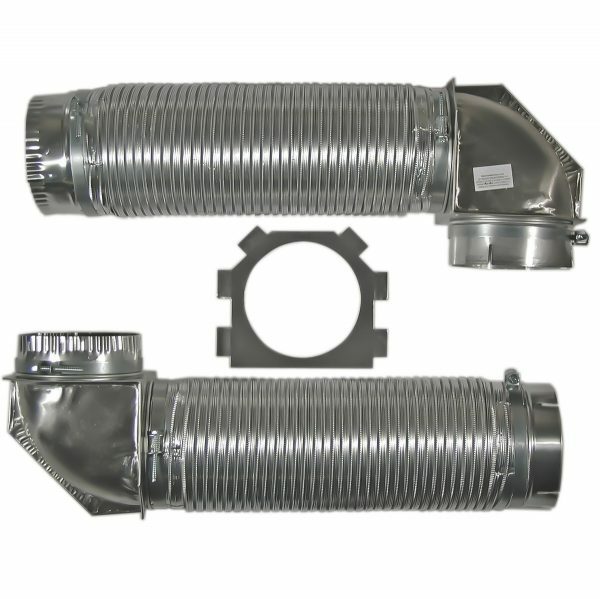 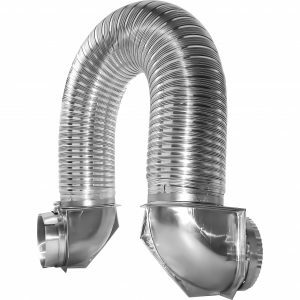 This universal dryer vent kit features two 4 foot sections of pipe attached to two Close Elbows® and two clamps for wall and dryer connections. This 8 foot kit installs in 4.5″ when the wall pipe is trimmed flush and the wall plate is used. 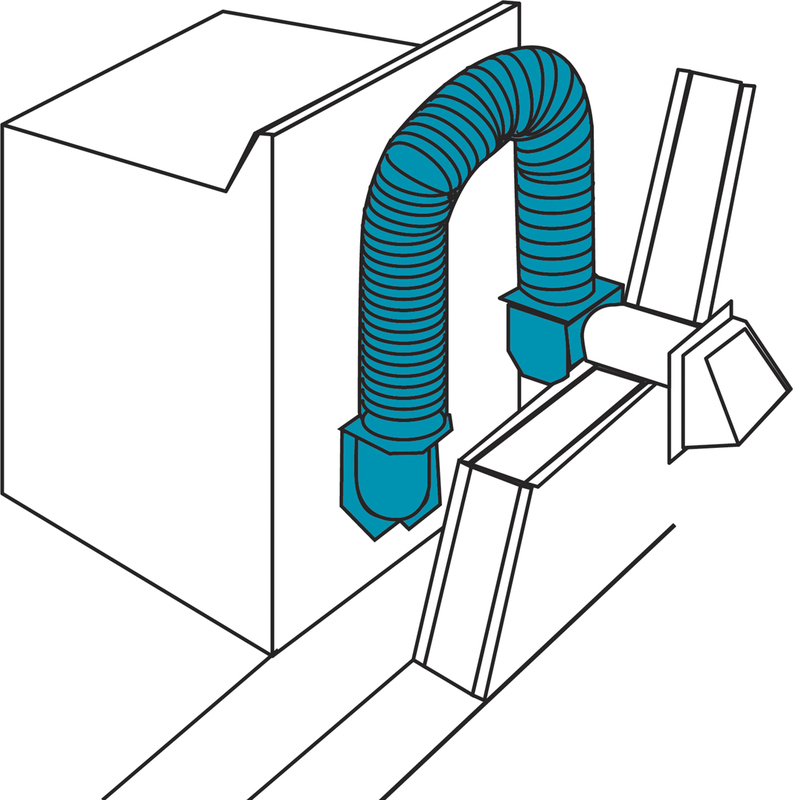 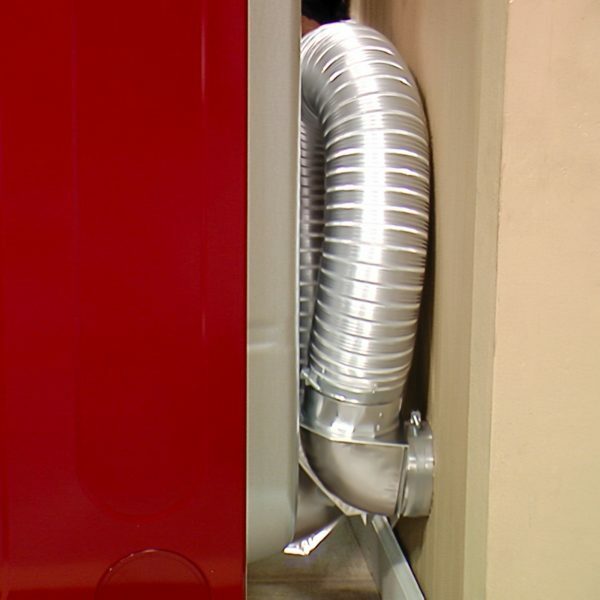 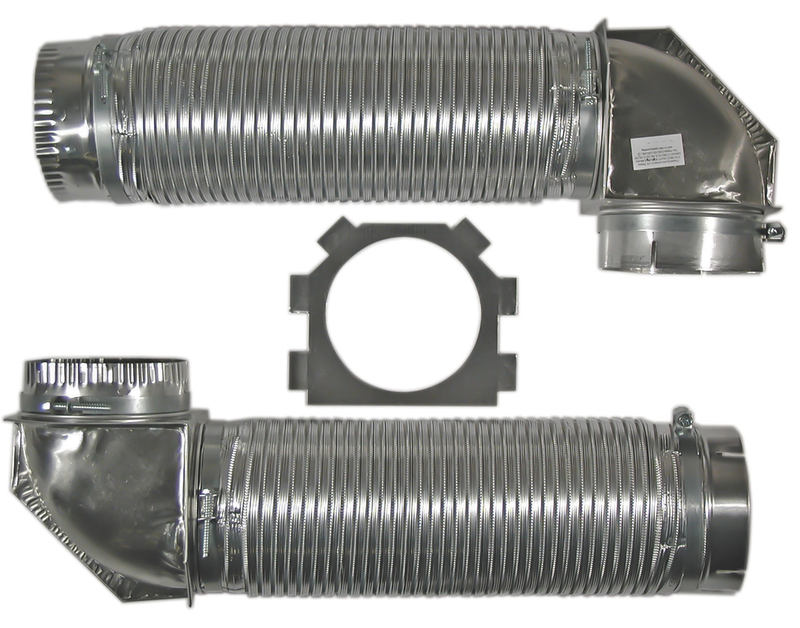 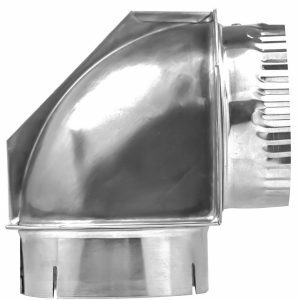 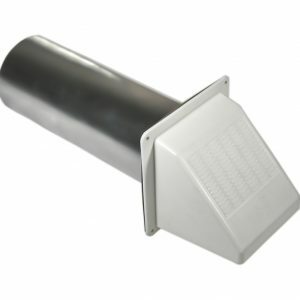 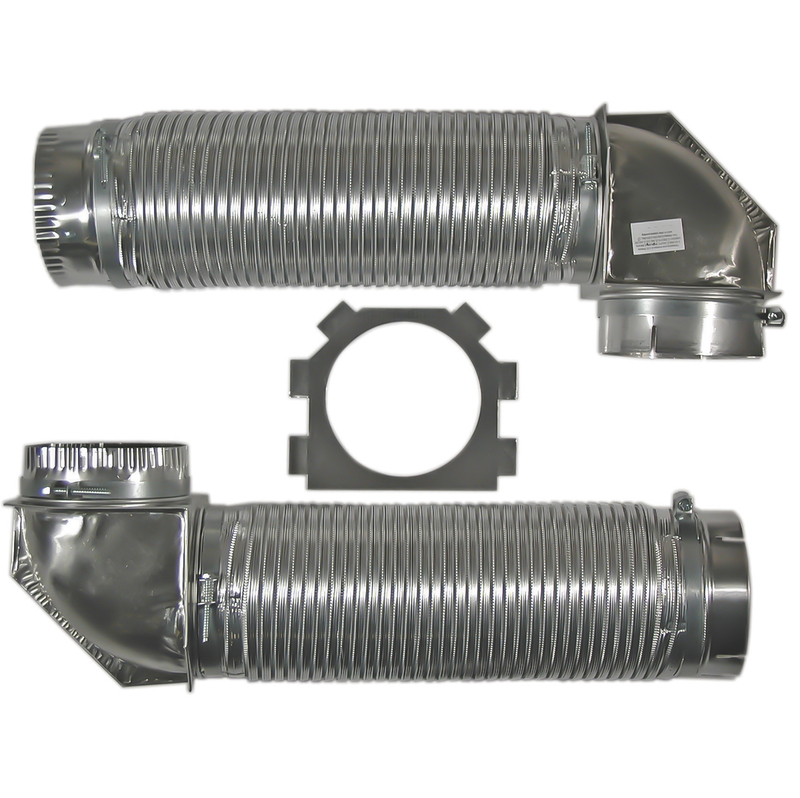 Snap-lock™ swiveling collars on the elbows allow for the dryer to be pulled away from the wall for cleaning without disconnecting the system.